But I don't want to write only about the conference, also a little bit about what Meeting C++ was to me in 2014. But first the conference. I already uploaded the keynotes, will do so with the Meeting C++ update next, and then the talks will follow next year. I have worked on the backlog since the conference, and looking forward to have a small break. The important things are done, the feedback collected, first ideas for 2015 already in the making (4th track!). While in the first year, I more or less chose from those willing to do a talk at the conference, in the second year there was already a committee. For this years conference I decided to do things differently, as I think its impossible to design a not biased committee, so for the first time ever, the audience of the first two conferences could vote for the talks online or offline. This was a success, I really enjoyed the few talks I could see, and have already watched a few more from the videos. For next year, there will be no more room switching, as all side rooms will have the same size. 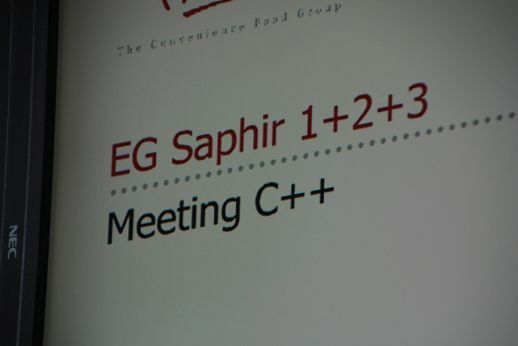 In total Meeting C++ 2014 offered like last year 7 Talks in 3 Tracks, so that you always had to choose between 3 talks. I want to thank all speakers, which did a great job. Some speakers were bold enough to try out new things, which did not always work out as planned, but this gives everybody the chance to learn and improve. For the first time ever, I did give a keynote to a person, that I did not know personally. 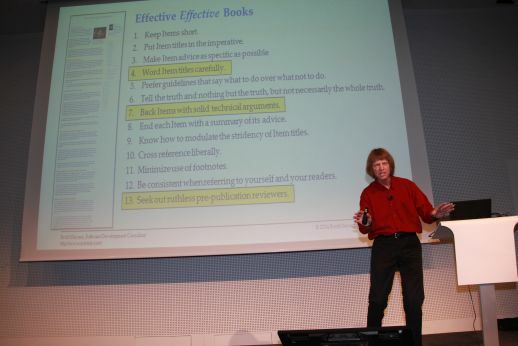 But from his emails and the CppCon I knew that Scott Meyers was the perfect choice for this year. 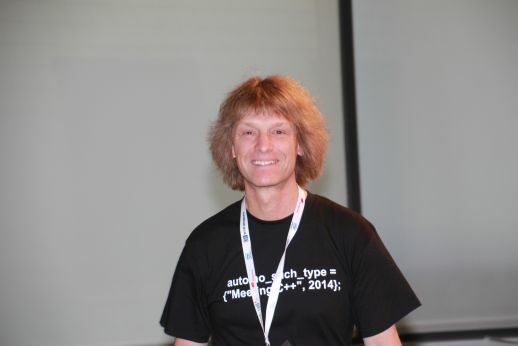 The very first decision for this years conference was to give one of the keynotes to Hartmut Kaiser, this was at C++Now 2013. It is for me very important, that the keynote speakers fit into the audience, and also attend the conference (and talks). 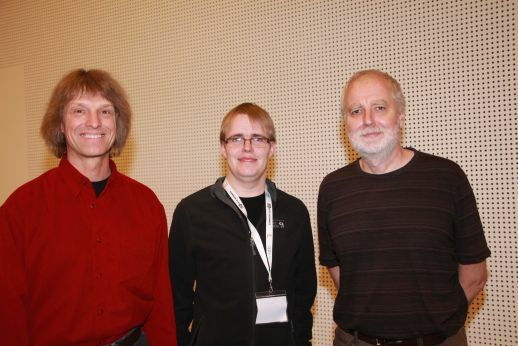 So also a special thank you to my keynote speakers, Scott Meyers and Hartmut Kaiser! I never would have thought to actually work with people like Hartmut and Scott, which are also a little bit personal idols to me. Today its my job to regularly be in contact with most "famous" C++ people, yet I haven't met them all, but those I met were all very nice people. I'm looking forward to have most of them at some day as guests or speakers at the Meeting C++ conference! 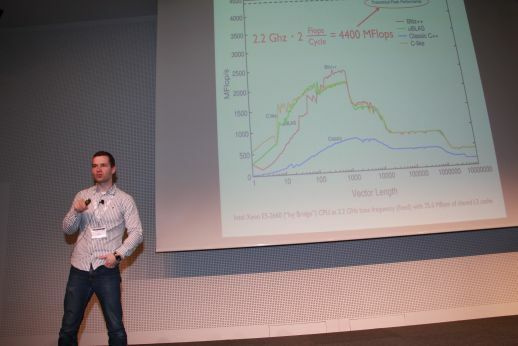 Hartmut Kaiser Keynote "Plain threads are the GOTO of today's computing" was the final highlight of this years conference! Also Ivan Cukic did write a great trip report, and he is right, part of Meeting C++ is that so many fantastic people attend it! So, one thing I worried about is the registration, it should be fully done before the conference starts, from the first year on we do on the evening before a pre-registration, so that the full impact does not hit my team early in the morning. This has worked very well, and with the new student program, there already had been 50 Students registered before the event officially started. Still, I would not have thought, that for the preregistration 155 people would show up. We never had to open a third line for the registrations. And the keynote could start in time. Also new this year was, that Meeting C++ has a lot more sponsors, and even some potential sponsors which couldn't come on board as it was to close to the conference. The through think-cell sponsored student program was a full success, and it looks like that in the next year Meeting C++ will have again a student program! For some years now I know that the conference isn't over when its over, the backlog is always a lot of work. So it is this year, especially with the videos. Which is great to have, I will upload more videos by next year, and plan to upload the Meeting C++ Update recording next this weekend. Then I'll take a break from Meeting C++ till the year ends. I've made the decision in 2013 to go full on Meeting C++, as I saw that it is important work that needs to be done, and 2014 has brought new heights, there are the social networks, which have more then doubled in following this year. There has been some traveling, its almost 70 Days that I have been away, private and visiting Conferences or preparing the conference. This is also the part of my job I still have to get used to, to have the freedom to work all year for almost only two and a half days. One thing that I also showed in the update at the conference is, that within 3 years so many user groups have been founded in Europe. This is really interesting, and a great success for Meeting C++ and me. Creating this network for C++ in Europe was one of my main goals when I started Meeting C++, and after not even 3 years, I can say we can see the beginning of such a thing. It feels great to see, that others follow my example, and organize user groups and local events for C++. Also a few days ago, we celebrated the 3 year anniversary of my very own user group, which still is very small compared to a few others. 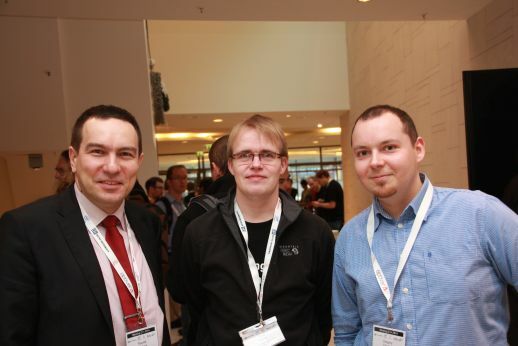 In the 3rd year my user group has spread to 3 more cities: Aachen, Ruhrgebiet and Cologne. Last nights Community Planning Session has shown interest from Serbia, Portugal, Greece and as a follow up of the conference also Karlsruhe and Tel Aviv/Israel might soon have their own C++ user groups. But what I know for sure, 2015 will be another awesome year with C++! I'm looking forward to see some of you at C++Now, CppCon and/or Meeting C++ 2015!